The Young African Think’rs Convention 2017 was held from Aug 9 - 12 at the African Union HQ in Addis Ababa, Ethiopia. 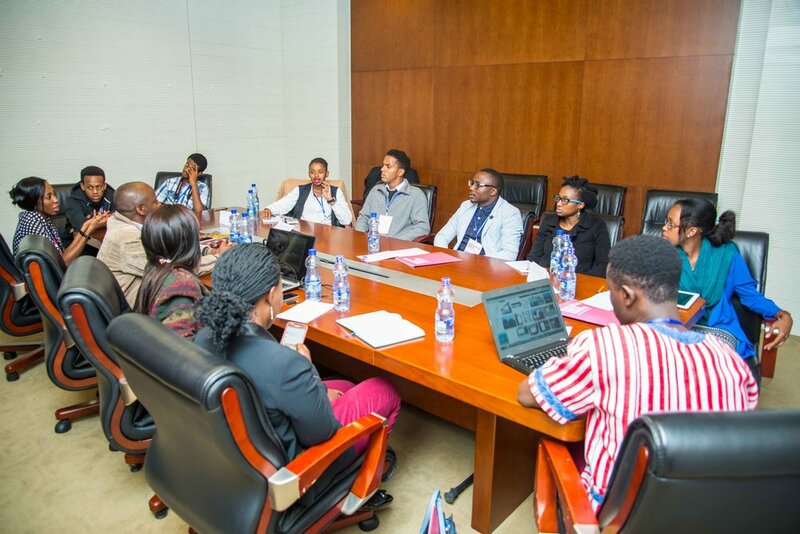 Embracing the theme ‘Realizing the Envisioned Africa’, the second YATC brought together 100 young people from over 15 nationalities to participate in discussions on the way forward for Africa. The first three days of the convention (Aug 9 - 10) engaged the participants in intense brainstorming and work sessions where they developed solutions for challenges they were presented with. During the last day (Aug 12, International Youth Day), the outcomes were presented to a high-level panel of officials including the Deputy Chairperson of the African Union and Spokesperson of the Chairperson of the African Union to be considered for implementation. The outcomes ranged from completed IOS and Android apps for Agenda 2063 from the Tech Team to a project-based recruitment strategy from the Human Resource team. They were warmly received by the panel and left the participants inspired to continue the movement as they go back home. We are humbled that God has helped us to successfully host this convention for the second time. We are believe that the change that Africa needs has began with empowered youth, who have hearts that are burdened for their continent.